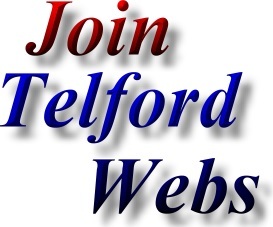 The Telford Fishing web page is provided as a free service for the Anglers of Telford, Shropshire. All that we ask in return, is that listed Telford Fishing Teams, Telford Fishing Clubs & Telford Fishing leagues place a link on their website back to us and hopefully mention us on their league fixtures & other paperwork. Contact Address; Blue Pig Fishing Club, Steve Gibbons, The Blue Pig Pub, Capewell Road, Trench, Telford, Shropshire. TF2 6RF. Telford Angling Club run from The Blue Pig Pub in Telford. Contact Address; Hills Lane Fishing Club, 3 Oak Close, Madeley, Telford, Shropshire. TF7 4EG. Fishing Club in Hodnet, Shropshire. Address; Hodnet Angling Club, 110 Farcroft Drive, Market Drayton, Shropshire. TF9 3EZ. Fishing Club - Angling Club in Newport, Shropshire. Contact Address; Mr B Evans, Honeysuckle Fishing Club, 7 Hawkestone Ave, Newport, Shropshire. TF10 7SE. Contact Address; Mr D Hull, Queens Head Angling Club, 28 Portley Road, Dawley, Telford.TF4 3JN. Contact Address; Mr S Harrris, Summerfields Angling Club, 1 Grange Close, Stirchley, Telford, Shropshire. TF3 1EX. Contact Address; Mr V Collier, Telepost Angling Club, 19 Arleston Lane, Wellington, Telford. TF1 2LT. Contact Address; Mr S Harris, Telford Disabled Anglers, 1 Grange Close, Stirchley, Telford, Shropshire. TF3 1EX. Contact Address; Mr G Evason, Thomas Telford Fishing Club, 73 Hartshill Avenue, Oakengates, Telford, Shropshire. TF2 6AS. Fishing Club - Angling Club in Telford. Address; Weston Under Lizard Angling Club, Norton Mere Cottage, Mill Lane, Tong Norton, Nr Shifnal, Shropshire. TF11 8PZ. Contact Address; Mr K Burgess, Wrekin Fishing Club, 22 Elm Park Drive, Wellington, Telford, Shropshire. TF1 3NF. Contact Address; Mr P Fox, 6 Whitemere Road, Wellington, Telford, Shropshire. TF1 3HE. 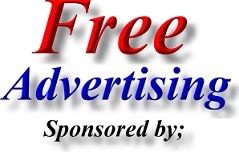 Serving Telford Anglers - Angling, Telford Fishing Clubs, Shrewsbury Anglers - Angling and Shrewsbury Fishing Clubs. For information on River levels in Telford, please call the Telephone number below. Contact Address; Lilleshall & District Angling Society, 24 Cranmore, Stirchley, Telford, Shropshire. TF3 1XF. Address; Brookfield, Wroxeter, Shrewsbury, SY5 6PH. Contact Address; Mr C Pound, Telford Anglers Association, Telford HPO, 46 Walker Street, Wellington, Telford. TF1 1AA. Contact Address; Malcolm Kelly, Telford Angling Association, 14 Sycamore Close, Elm Park, Wellington, Telford. TF1 3NH. Address; Outdoor Recreation Officer, Community Services, PO Box 59, Civic Offices, Telford. TF3 4WZ. Address; Astbury Falls Fish Farm, Astbury Lane, Eardington, Bridgnorth, Shropshire. WV16 6AT. Main Species: Barbel, Brown Trout, Carp, Perch, Rainbow Trout. Address;Monkhall Fisheries, Lower Monkhall, Monkhopton, Bridgnorth, Shropshire. WV16 6XF. Main Species: Bream, Carp, Chub, Roach, Tench. Address; Sutton Bank Fisheries, Sutton, Nr Newport, Shropshire. Telephone Number; Telford (01952) 2820334. Address; Bridgnorth Tackle, 58 Mill Street, Bridgnorth, Shropshire. WV15 5AG. Fishing Tackle Shop in Bridgnorth - Coarse Fishing Tackle. Fishing Tackle Shop and Services in Wellington, Telford. Fishing Tackle, Bait & Accessories. Coarse Fishing, Carp Fishing, Fly Fishing & Sea Fishing. A large range of Fishing rods also available. Address; Newport Fishing Tackle, 74 Middle Row, High Street, Newport, Shropshire. TF10 7AU. Address; Rod and Gun Fishing Tackle, 3-5 High St, Dawley, Telford, Shropshire. Angling, Fishing Tackle Shop and Services in Madeley, Telford. Address; WAC Fishing Tackle, 5 Anstice Square, Madeley, Telford, Shropshire TF7 5BD. WAC Fishing Tackle claim to be the best fishing tackle dealer in Shropshire. WAC Fishing Tackle are always striving to improve their range of goods, so that the angler ends up with the range of quality merchandise that they can benefit from. WAC Fishing Tackle promise - guarantee to provide an unbeatable service, and that they will process your order quickly with minimum fuss but maximum efficiency. WAC Fishing Tackle are also Insurance specialists. Run by Telford Angling Association. Apley Pool is owned by Telford and Wrekin Council (Open all year)..
Main Species: Carp, Perch, Roach, Rudd, Tench. Run by Astbury Fall Fish Farm. Pre-book on 01746 766797. Run by Rod and Gun Fishing Tackle (Open all year). Run by Dawley Angling Society. Blue Pool is owned by Telford and Wrekin Council. Bridgnorth Fishing Pool - Angling Pool in Bridgnorth, Shropshire. Run by Mr K Turner. Pre-book on 01746 763255 (Open all year). Castle Pool is owned by Severn Trent Water. Run by Wrekin Anglers Association. Dot Hill Pool is owned by Telford and Wrekin Council. Dandy Pool is owned by Severn Trent Water. Located in the beautiful grounds of Dudmaston Hall Estate. Main Species: Barbel, Bream, Chub, Pike, Rudd, Tench. Holmer Lake Pool is owned by Severn Trent Water. Horsehay Pool is owned by Telford and Wrekin Council. Run by Thomas Telford Angling Association. Leegomery Pool is owned by Telford and Wrekin Council. Little Apley Pool is owned by Telford and Wrekin Council. Madebrook Pool is owned by Telford and Wrekin Council. Middle Pool is owned by Severn Trent Water. Main Species: Bream, Carp, Pike, Roach. Run by Monkhall Fisheries. Pre-book on 01746 785281. Newport Canal is owned by Telford and Wrekin Council. Priorslee Pool is owned by Telford and Wrekin Council. Main Species: Bream, Carp, Pike, Roach, Tench. Randlay Pool is owned by Severn Trent Water. Main Species: Bream, Carp, Tench. Buidwas New Water. Site = Buildwas village (Park in lay-by near the church). Permit available from Rod and Gun. Run by Dawley Angling Association. Stirchley Pool is owned by Telford and Wrekin Council. Main Species: Bream, Carp, Chub, Perch, Pike. Run by Sutton Bank Fisheries. Pre-book on Telford (01952) 2820334. Main Species: Mixed Coarse Fish Species. Tee Lake is owned by Telford and Wrekin Council. Run by The Blue Pig Fishing Club. Wide Waters Pool is owned by Telford and Wrekin Council. Main Species: Bream, Carp, Roach, Tench. Run by Telford and Wrekin Council. Withy Pool is owned by Telford and Wrekin Council.